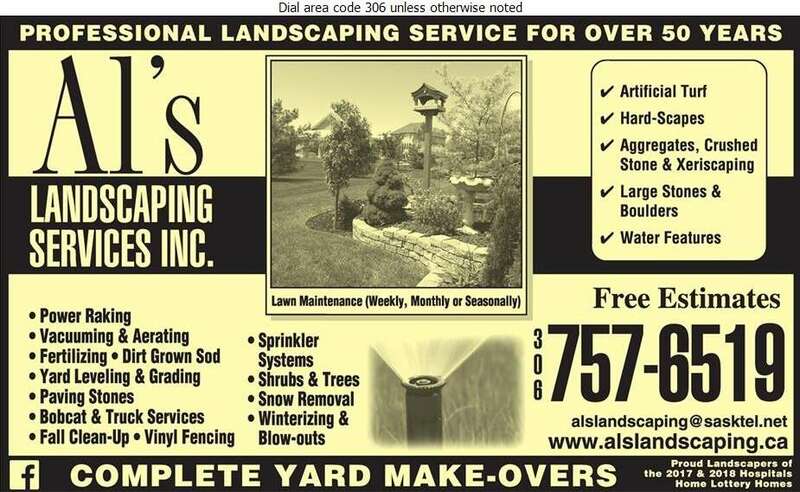 Located in Regina, Al's Landscaping Services has been meeting your landscape needs for over 50 years. We provide many services, which include complete yard make-overs, sprinkler systems/installation, lawn maintenance (weekly/monthly), bobcat & truck services, vacuuming & aerating, Commercial and Residential Snow Removal and lot maintenance. Please call us at 306-757-6519 for a free estimate or to inquire about our other services provided to you!